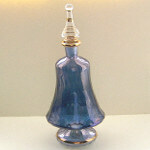 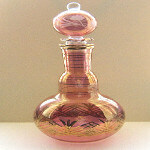 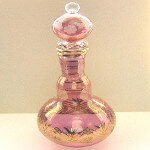 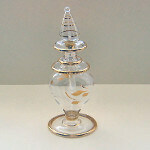 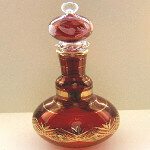 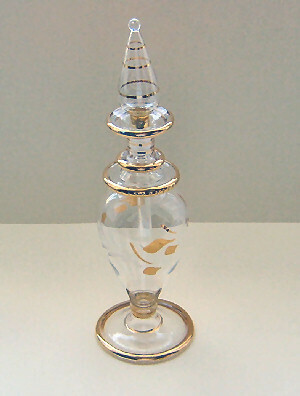 Egyptian Glass - Authentic Hand Made Egyptian Glass Bottles. 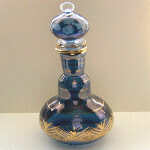 Authentic Egyptian perfume bottles. A legend, dating back over 200 years, describes that the ancient Egyptians crafted these beautiful bottles of various colours and designs to collect the tears of those who grieved the loss of the Pharaoh. In later years temple priestesses and wealthy society women kept the purest of essential oils in them. 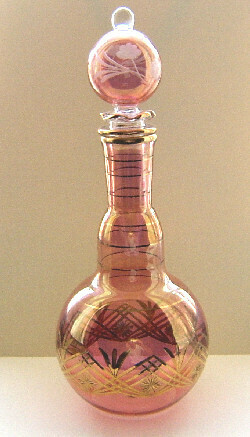 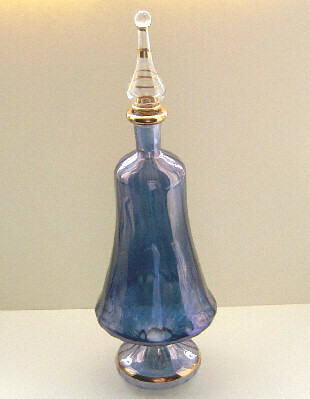 Each of the coloured glass perfume bottles are exquisitely mouth blown and hand decorated and therefore a unique and beautiful gift.